The St. John's Farmers Market will have a new home in the former Metrobus depot. 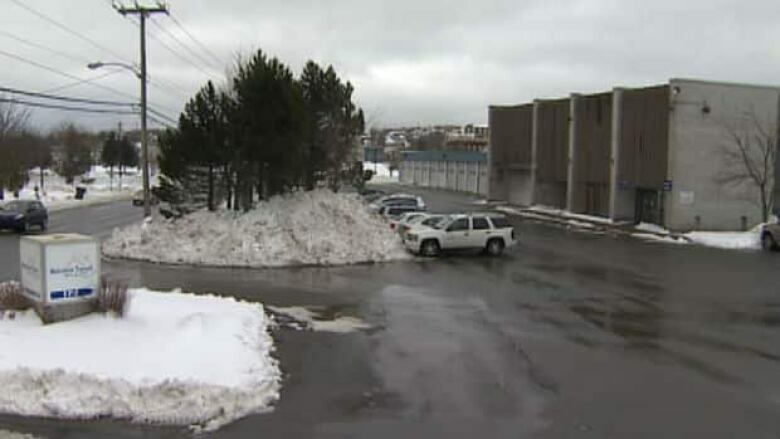 It's official: the St. John's Farmers' Market will have a new home in the former Metrobus depot on Freshwater Road, with several levels of government teaming up to help bring the plan to fruition. The City of St. John's showed off the plan for its $2 million investment Friday morning at a news conference that also involved federal and provincial spending commitments. "The decision to move forward with the community market comes after several years of work by the City, the St. John's Farmers' Market and its funding partners," Coun. Tom Hann said in a statement, adding that the investment will also create a vibrant community hub that has plenty of parking. "The completion of a feasibility assessment and business plan enabled us to determine that a market is viable and financially sustainable in the proposed facility." The St. John's Farmers' Market Co-operative (SJFM) will run the facility. It is contributing $100,000 towards the project. "A permanent home for the Market has been the Co-operative's dream ever since we started out as a small group of vendors and volunteers," said Joshua Smee, SJFM Chair. "After years of bursting at the seams in our current location, we are incredibly excited to expand not only our space, but also what the market can offer the community." The Farmers' Market has for many years been using the Lions Club Chalet off Bonaventure Avenue. Public Services and Procurement Minister Judy Foote also announced that close to $1.17 million is coming from the Atlantic Canada Opportunities Agency (ACOA), while Christopher Mitchelmore, the minister of Business, Tourism, Culture & Rural Development, said the Newfoundland and Labrador government will add $490,000 to the pot. "This new community market is a great example of how the Government of Canada remains committed to fostering entrepreneurship and economic development," said Foote. "Farmers, craft producers and local artisans contribute to the province culturally, socially and economically, while the co-operatives they sell in, like the St. John's Farmers' Market, play a significant role in the vitality of our province's economy," said Mitchelmore. "Our government is committed to promoting the agriculture/agrifoods sector and to working with local producers and processors to maximize their potential to produce and sell locally." In its release, the city said its economic plan had specifically identified the Farmers' Market as a priority because of "its value in creating a desirable city for newcomers and young professionals." The city will be issuing a request for proposals for the design and construction of the building, which is set to begin in 2017. A grand opening is planned for 2018. "We look forward to working with the SJFM and the surrounding neighbourhood through a community engagement process as we move forward with this exciting project," said Hann.